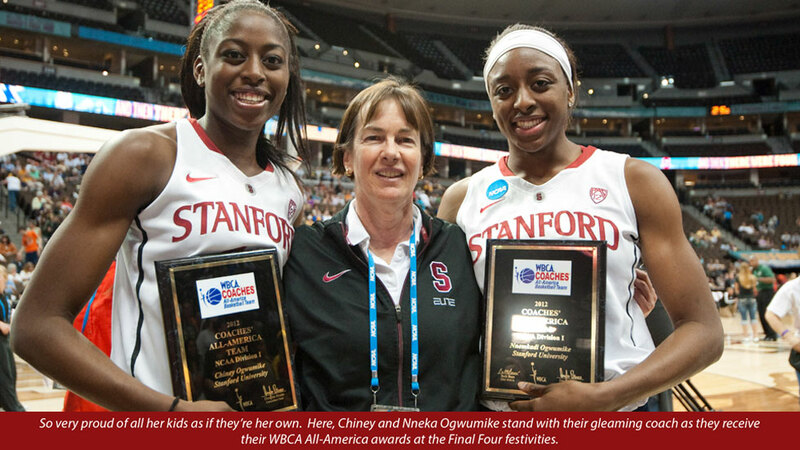 Tara VanDerveer is the Setsuko Ishiyama Director of Women’s Basketball at Stanford University. She is one of the greatest coaches, men or women, basketball or any sport, of any era. 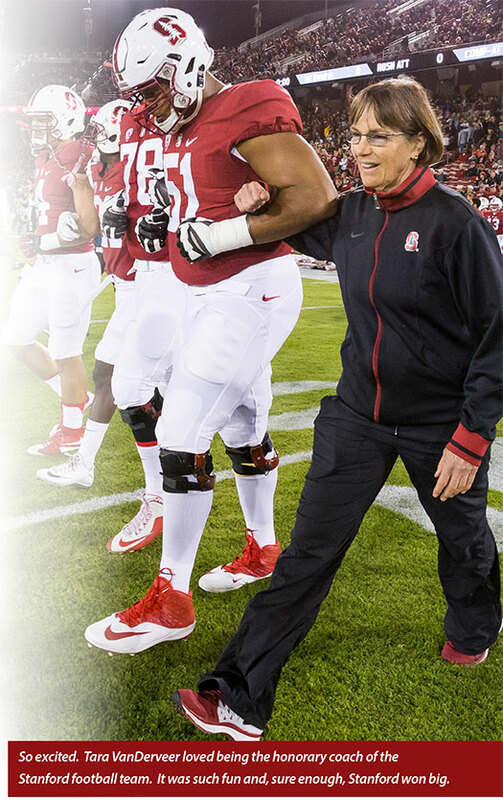 She is just one of six Women’s College Basketball coaches to win more than 900 games … and coaches at one of the very few schools where the academic standards are so high, so many of the best recruits cannot be admitted and play for Stanford. Tara has won two national championships, 23 Pac-12 Championships, 11 Pac- 12 Tournament Championships and was the coach of the US Olympic Women’s Basketball Team in Atlanta that went 60-0 and won the Gold Medal. She is also on the verge of becoming the winningest NCAA Women’s Basketball Coach in history. She loves her piano every day, she loves her training for a triathlon, she loves life and the people she meets … and she loves her coaching. There is so much … in basketball … in music … and in life … She is the ultimate student of all … and the ultimate teacher, too. I hope you enjoy this visit with her as much I certainly have. TV: I think leaders are people that don’t complain; they are people that get things done. Leaders to me are people with high energy; they really care about the people they are working with. They care about the outcome of events; they are unselfish, are very determined and are very resilient. I like resilient leaders. Having worked with different teams, leaders have to set a good example, they have to be people that you can identify with. Yes, the same can be said about coaching. TV: I don’t know that I have a definition of success just because it seems like it’s so fluid. To me, nothing is “done”. It is always a journey. So maybe you’re lying on your deathbed and then you can say, “Wow, that was a success”. But, everything to me, a success seems like it’s a final answer. A final, here’s a successful season - Well, you’re always working on always improving and getting better. So, that’s a hard one for me. I am just kind of in the moment. I don’t stop and say, ‘Wow this or Wow, I’m a success at this’. Well, I’m just doing it. I’m still doing it. It’s never over. You’re always working to get better. Q: What advice do you offer to aspiring basketball players or aspiring youth? TV: In anything, if you want to be accomplished, you have to put a lot of time into something. You have to love it. You have to have passion for it. For someone to do anything, you need to be passionate about it, excited about it, enthusiastic and work at it every day. And you don’t know where it’s going to take you. I had no idea that basketball would take me to where it has taken me. But, I love basketball. I love to watch it, I love to play it; I love to think about it, talk about it. I still do. To be good at something, yes, you have to put a lot of time into it, and you have to have a plan - how to always improve and get better. Q: What advice do you offer people in life in general? TV: Young people that I meet, or even if I’m speaking, I think first of all, for the most part - I mean look at our lives, how fortunate we are to live where we live, the people that we are around, the opportunities that we have, the beauty of the Bay Area, all this great weather … It’s not to say that there aren’t problems or issues. I say to our team: when you wake up in the morning, you have two choices: Are you going to have a good day or are you going to have a great day? Make it a great day and do the things to make it a great day, by giving to others and by being excited. Q: What would you say about how much life is about sports and sports is about life? TV: To me basketball is just my medium. Basketball, it could be an art, it could be ballet, it could be music. Anything you do, if someone is passionate about computers, or cars, whatever it is you’re passionate about, that’s what you try to do, you try and learn as much as you can about them – work as hard as you can, like for me, to making our team as good as it can be. Like Tesla, how do you make a great car, how do you make the great working environment. Whatever it is, it’s all the same to me. You’re always recruiting, you’re always coaching. But basketball is my medium. Q: What do you look for in your recruits? TV: You know, really, it’s are they great basketball players and are they great students? And, then, those are people that we recruit. You hope the fact that they are very disciplined academically and that they work really hard. We just try to keep recruiting and it’s going to be a big recruiting weekend this weekend, so we are hoping there will be some more of those that want what we call, “to be on the wall” … To be on the wall, they are great players, or All-Americans, or they’re great team players - teammates like Krista Rappahahn, who is now a doctor here at Stanford – so it’s not just the All-American best, but All-American caliber players, teammates, the whole thing. It’s going to be a big game this weekend vs. Arizona. You know, I’m the honorary coach this weekend at the football game. I am very excited about it. I’m going to be talking to the team Friday night. We have our recruits here, so it’s going to be a very busy weekend. I’ll be running out onto the field, will be there for the toss of the coin, I’ll be on the field and also in the stands with our recruits, so I’ll be running back and forth. I am really excited about it. Over the years, I have been here with such great Football coaches … I have been very close with a number of them. Coaches like Bill Walsh, Tyrone Willingham, Jim Harbaugh, David Shaw … I have been here with eight different Head Football Coaches … I have seen a lot, you know, and learned a lot. Q: What have been some of your favorite moments and memories. What’s it like, such special moments? TV: Fabulous winning national championships; winning the first one in 1990, was unbelievable. To go from being a .500 team, Jennifer Azzi’s freshman year, to a National Championship Team in Knoxville. I mean, it was a Cinderella Story … it was just fabulous. I loved that. And winning again in 1992 was awesome. I think cutting down the nets from the Regional Championship to go the Final Four that’s really exciting. Winning the Olympics Gold Medal was really fun. You know, I take pleasure in each day. Just watching the improvement, watching the young people grow up. Watching the young people, I’m just so proud of them. You know, someone like Jennifer Azzi, who is now the Head Coach at USF; Sonja Henning, who is a Vice President up at Nike; Kate Starbird, who is a Professor up at the University of Washington; just go through the whole list (it’s a long list) of all these great players and great people I’ve been around; it’s always fun, it’s really exciting. Q: What are some of your outside hobbies, interests, passions and activities? TV: I love to ski, snow skiing (I don’t get to do too much of it because it’s during the season), water skiing (I enjoy getting in a lot of water skiing). I sail, I love to sail, I have three sailboats actually at different places. I play tennis a little bit. I work out. I’m kind of doing my own training for a triathlon. I swim twice a week, I bike twice a week and I run twice a week; I’m trying to get into better shape. I love to read. As for the kids, I think they have so much studying to do, maybe during a break I’ll give them a book, or recommend a book to them, maybe over the summer, but for the most part, they are in summer school and already have so much reading to do. I’m reading right now, Dead Wake, a book about the sinking of the Lusitania. I read about 15 books over the summer, mostly non-fiction. One book about the Wright Brothers … some historical fiction … but a lot of variety. I love music. I love Opera. I am hoping to go to the San Francisco Opera this year. I don’t feel like I take advantage of all the great things in the Bay Area. I love to listen to music and love going to concerts. Basically, I have too many interests for the time I have in a day. And work, too. I get up early and stay up late and I go to bed exhausted. But I sleep well. Q: Are you close to any nonprofits? TV: I am. Two. One is JobTrain. JobTrain is a fantastic service basically giving people a skill set to get hired. I am on the JobTrain Board and I am very proud of what JobTrain does. It is a fantastic organization. It is located right by Facebook. The other nonprofit I am close to is the Humane Society Silicon Valley. I love my dogs. Q: Great coaches bring great winning philosophies. 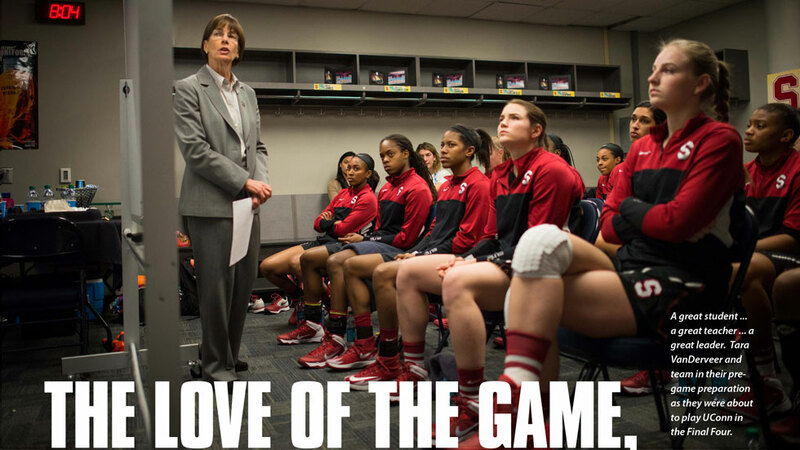 What are some of Coach Tara VanDerveer philosophies? TV: I think the main thing is to have a great attitude and make a great effort … and I’ll get along with players that do that. I love players that are great teammates. They’re not just talented players. Talented players that work hard, that have a great attitude, that work well with other people, that are respectful. You know, it is fun. Yes, it often is a grind. It is a lot of traveling. I want people that are fun to be around, that are upbeat and positive, that are not complainers or deadbeat. Unfortunately, I think it is a challenge sometimes. Everyone says that the athletes have changed. Well, it’s the environment that has changed … You know now with Social Media, Twitter, Facebook, all that, that has made people different. I think at the core people are the same, but the circumstances are very different. We all want to feel appreciated; we want to work with people that care about us. I am shocked at the number of people that I talk to out in the business world who don’t really learn the lessons that are learned in the gym or on a team. I have talked with friends of mine that are CEO’s and they tell me about shocking adult misbehavior that is really very sad in this day and age, when we want to be efficient and we want to win as a team. Q: What’s this about your training for a triathlon? TV: I do triathlon training … but I do my own triathlon. I do it with friends in the summer, in June, July and August. We’ll do a mile swim and a fifteen mile bike ride and a five mile run. And maybe we’ll do more the next time, and maybe we’ll increase upon it each time, each month. During the season, during the year, I try to exercise every day. Q: Do You have your favorite music? Your favorite composers? Inspirations? TV: There are so many great … I love Chopin, Brahms, Mozart. I love the classics more than anything. There are so many, that I wouldn’t want to limit myself to one or two or three. I have been playing for about 15 years, but I am not very good. It’s the hardest thing. Playing the piano is the hardest thing. But I love it. I am very fortunate that I have a great teacher. But, lately, I have been doing more active, physical things just because I realize I want to be in better shape. I can play the piano when I am 80, whereas I might not be able to water ski or ski or play tennis when I am 80. So, maybe I will, I don’t know. TV: It’s something we do every year. It’s a great camp. There are over 700 who attend, from all across the country, from all around the world. 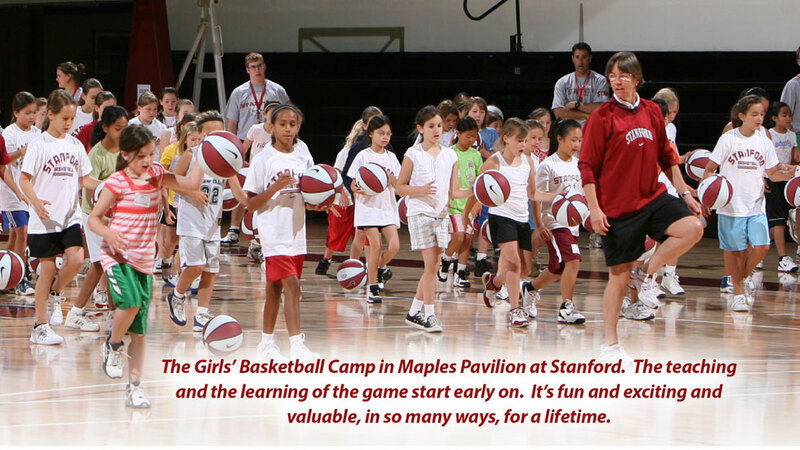 Our Eileen Roche (Assistant Athletic Director of Basketball Operations) here at Stanford runs it. It’s an opportunity to learn so much. I think in any sport you have to learn the fundamentals. And so many kids want to skip through that. Like in music you have to learn the scales. You are not going to be a great pianist just sitting down hacking away at Beethoven or something. You have to start right at the beginning. TV: Something I want to include here, is a part of my life that is so very important, my sister, Heidi. 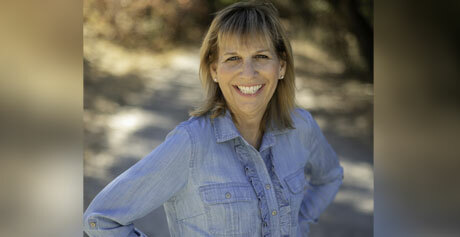 She is the Women’s Basketball Head Coach at University of California San Diego. I am so fortunate that I can bounce ideas off of her and I talk with her all the time. We are so close and I think we benefit from that. Also, something I am becoming more involved with, is one of our games called the Nike N7 Game … it’s our “Native American Game”. This grew out of a fabulous clinic that was put together - with Ganon Baker, who’s like a God in what he does in basketball skills training, who was there – he came with his wife - along with Johnny (Johnny Dawkins, Stanford Men’s Basketball Coach) – one call was all it took, “I’ll be there for you, Coach!”, he said … I just love Johnny Dawkins! – also Amy (Amy Tucker, Stanford Women’s Basketball Coach), my sister, Heidi, Ceal (Ceal Barry, retired University of Colorado Women’s Basketball Coach) and myself. This was on the Salish Kootenai Indian reservation in Montana. I am so grateful to all, that we were all there. It was, it is fantastic. I think a big part of who I want to be is to give back. I feel so fortunate. Whether it’s helping the Onetta Harris Community Center (in East Palo Alto) or Job-Train … or doing things with our team like volunteering at the hospital or serving Thanksgiving meals … I think it’s really an important part of what I do … and who I am.